Our Employee Engagement Survey – The Q4 Profiler™ – examines the systemic nature of the employer / employee relationship in twelve dimensions. It is designed to support employee engagement, employer branding, talent management, organisation development, and attraction and retention strategies. 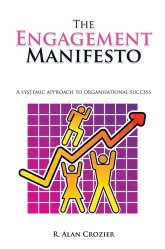 It delivers unparalleled understanding of the current organisational climate and employee engagement. This instrument has been designed by Q4 consulting to be a cost-effective way of getting an understanding of where the organisation stands as an employer in the eyes of its most important stakeholder. It looks at the policies and practices in place, and the intent behind them. It will highlight your strengths which can be leveraged, uncover areas of misunderstanding, and point to areas for further investigation or improvement. Whether your immediate priority is attracting talent, motivating talent, assessing talent risk, or aligning your people with strategy; this tool will help you identify and prioritise your next steps. It is highly focused, pragmatic, and produces actionable results. The Q4 Profiler® provides one of the most robust measures of engagement available today. Find out what is attractive about your employment proposition, what keeps people in the organisation and plan your talent management strategies. What changes do you need to make to meet the challenges of a changing market-place. Your employer brand is created inside the organisation by the employment experience. It’s construct is determined by your engagement philosophy. Ensure it is fit for purpose. To view a sample of the The Q4 Profiler Output please supply the following details to download.